1 Preheat oven to 190°C. Pat pork roast dry with paper towels. 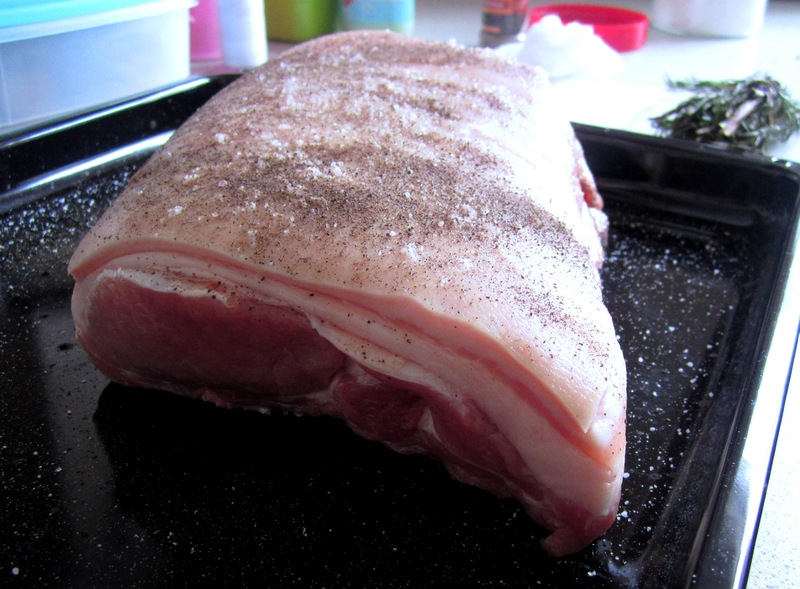 Season pork roast with salt and pepper. Heat oil in a large cast-iron skillet over medium heat. Sear pork on all sides until browned, about 10 minutes total. Remove from heat. 2 Rub pork with chopped rosemary; wrap with bacon, overlapping strips slightly. Tie pork roast wih kitchen string. 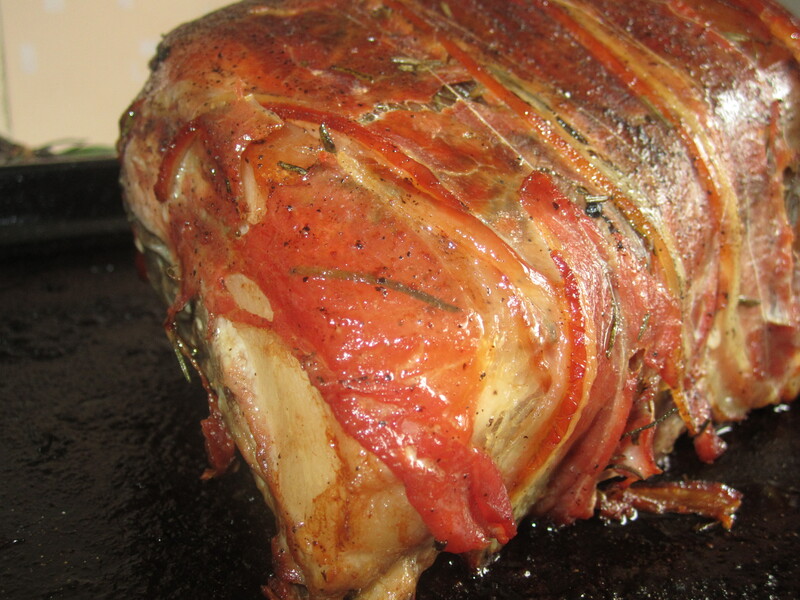 3 Roast in oven, basting occasionally with cooking juices, until juices run clear, about 35 to 40 minutes. Remove from oven. Transfer pork to a serving dish. 4 Make pan sauce. Place the roasting skillet on the stove top over low heat. Add the wine and deglaze the pan, stirring with a wooden spoon to scrap up any browned bits from the pan bottom. Pour through a fine-mesh sieve into a small saucepan. Skim off the fat. Reheat to serving temperature if necessary. I kind of forgot the last step, but we did pour wine over the pork as it cooked! The pork was perfectly cooked (if I do say so myself) and tender!And thanks to Vic for carving it… I would make a few additions next time, like rub some garlic on the pork, and perhaps a mix of herbs too!